Adi Arezzini is the co-founder and CEO of Teami Blends, a lifestyle brand focused on creating tea and skincare products with all natural ingredients. At age 19, Adi joined the Israel Defense Force to serve as a combat trainer, but when she returned home, she faced a different kind of battle; a battle against health issues that were affecting her mind and body. Always the fighter, Adi wouldn’t accept these issues as a part of her, so she set out to solve them. That’s how Teami Blends was born. In this interview, Steph and Adi talk about the ups and downs of starting a business, what it’s like to work with influencers, and how she turned it around when her sales started to decline. Don’t miss out on our Ultimate Book Bundle Giveaway! Everyone who enters will win a prize. Sign up to get a copy of the 100 Business Ideas eBook and for the opportunity to win a book bundle of your choice. Head over to mission.org/books today! 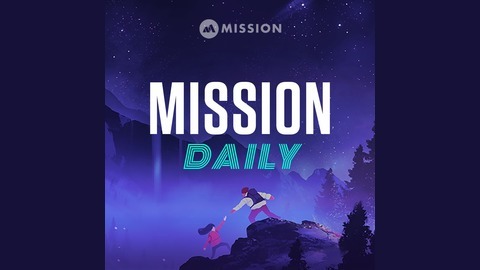 Mission Daily and all of our podcasts are created with love by our team at Mission.org We own and operate a network of podcasts, and brand story studio designed to accelerate learning. Our clients include companies like Salesforce, Twilio, and Katerra who work with us because we produce results. To learn more and get our case studies, check out Mission.org/Studios. 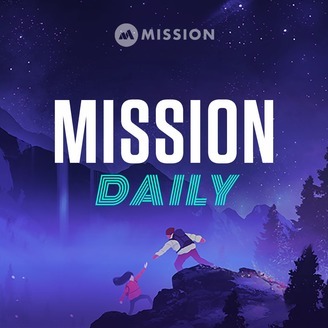 If you’re tired of media and news that promotes fear, uncertainty, and doubt and want an antidote, you’ll want to subscribe to our daily newsletter at Mission.org. When you do, you’ll receive a mission-driven newsletter every morning that will help you start your day off right!